The ARA Asset Management (ARA) and Lim Hoon Foundation (LHF) Scholarship is available to outstanding full-time undergraduate students from the Lee Kong Chian School of Business, the School of Accountancy and the School of Economics at the Singapore Management University (SMU). The Scholarships aims to spur undergraduates to greater heights of excellence while offering financial support. Please click on this link to find out more about the ARA-Lim Hoon Scholarship. The ARA-LHF network was founded in 2015 with the support of John Lim Family Office (JLFO) and SMU. The formation of the network was a desire from all parties to create a platform for alumni and current ARA-LHF scholars to congregate, organize activities and give back to society. 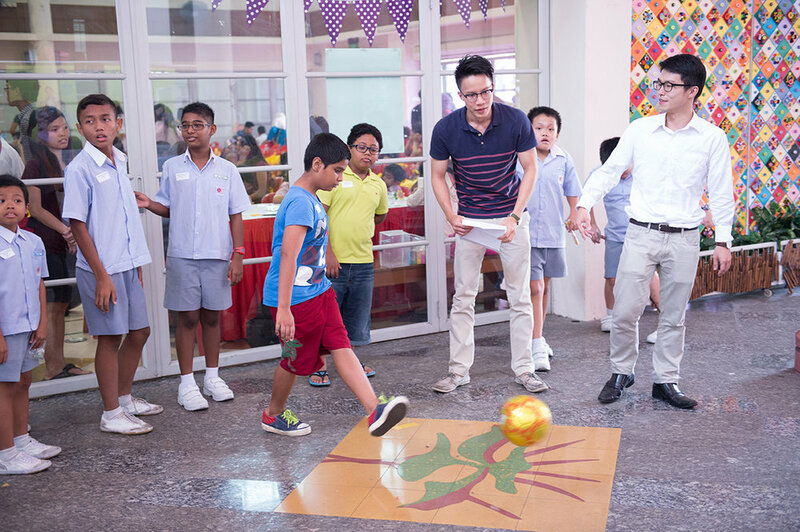 Building a spirit of volunteerism by giving back to the society: To foster closer collaboration among the members of LHF, ARA and SMU to engage in community outreach programmes, which would enhance the scholars’ character and social responsibility. Networking opportunities: The ARA-LHF networkserves as a platform for professional networking among ARA professionals, current scholars and their fellow alumni members. Beyond this, it also enables the ARA-LHF scholars to forge close ties with the ARA family. Knowledge and information exchange: The group consists of graduated scholars and ARA professionals from varied backgrounds, which helps to facilitate frequent sharing of experiences with the current scholars. This aims to encourage members to strive for and achieve academic and professional excellence. Annual Chinese New Year Open House at Mr. John Lim’s residence. Annual bowling tournament at Marina Square – we sure know they can strike a good work-life balance! (Above) Joyce (left) and Roy (right) patiently teaching an award winner to fold a heart origami at one of the fringe booths. Keng Leong (middle) and Ivan (right) coaching the students the techniques to achieve the perfect “banana kick”.